Stop letting your alcohol addiction ruin your life and start enjoying a happier sober lifestyle with the help of subliminal messages! Do you fight with yourself each day trying desperately not to drink alcohol? Has your problem with alcohol caused problems with your friends and loved ones? Do you feel like you don't have the mental strength to stay sober? Do you really want to change, but you just don't know how to tap into that strength? 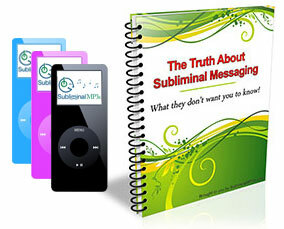 Subliminal messages could be the missing link that can take you from where are today to a happier brighter future where you are in control of your drinking. This is a unique process that uses carefully created messages that are played over and over again directly to your subconscious mind. The messages are designed to help you change the current thought patterns and behaviors that end up leading you to take a drink. They transform the way you think to help you to get over your cravings, to get over the habit and the sheer need to drink. Now as powerful as subliminal messages are you also have to be ready to change. Once you give yourself permission to move forward in your life, the subliminal message will be even more effective. These messages are designed to reprogram your current thoughts about alcohol addiction. In some form or fashion you've told yourself that you will never be sober, that you enjoy alcohol, that you need alcohol so many times that you actually believe it. The subliminal messages will replace those beliefs with new beliefs of strength and the confidence to control your impulses and focus on a more positive future without alcohol. You will see your mindset transform as you stop feeling cravings and a need to drink and start to actually see the logical side; the pain and destruction that alcohol can cause. It is these thoughts which will replace the good things you currently feel about alcohol and this will help you to naturally overcome your alcohol addiction. In a few days, you'll begin to notice subtle changes in your attitude towards alcohol. In a few weeks, you will find yourself in much better control of your impulses to drink. Just listen for 30 minutes each day. Eventually those old thoughts that are keeping you from being what you know you can be will begin to fade. Imagine how great you'll feel waking up each day being able to say "no" to urges to take a drink and the new level of confidence you'll have to ignore those old urges and move forward in your life. Imagine yourself in full control of your thoughts and drinking habits, feel how strong and healthy your body feels because you’re leading a healthier sober lifestyle. Imagine how happy you will feel, knowing how proud your family and friends are of you, living your life alcohol free and happier than you've been in a very long time. Imagine in the long term future when you no longer even think about alcohol, when being sober is just normal for you and you can lead a completely different, normal, and active lifestyle. You don't have to imagine those things in your life, instead they can become a reality in your life. Our subliminal albums can help you change your life starting right now. 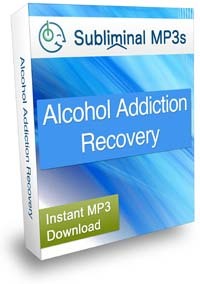 Download this subliminal album today and get control of your alcohol addiction for once and for all! This album in one of several in our Freedom From Addiction series of subliminal audio mp3s.